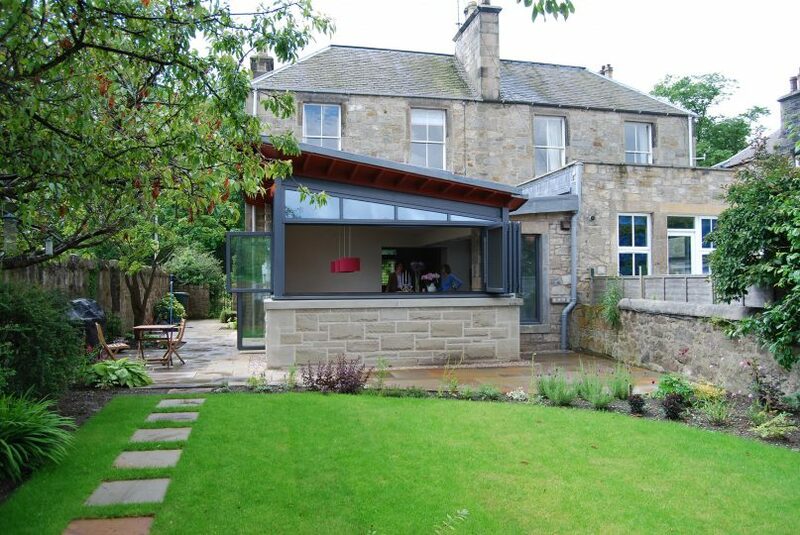 Single storey garden room extension and internal alterations to stone built semi-detached villa. 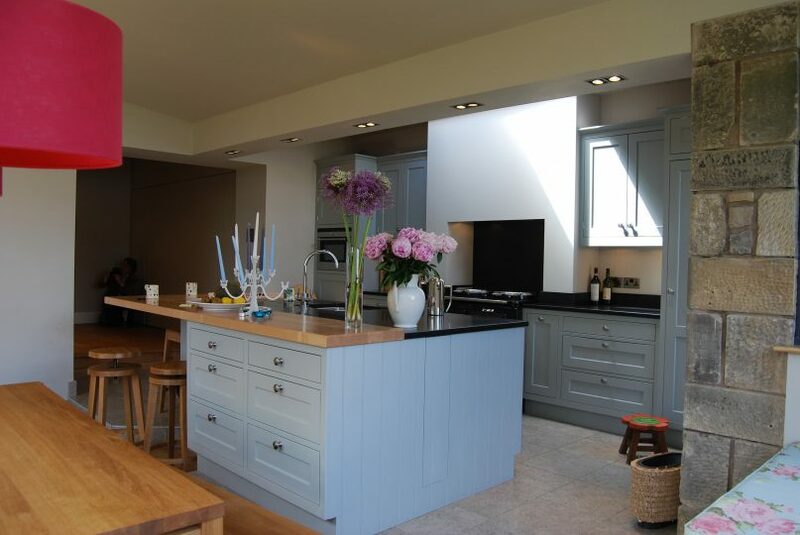 Andrew has great ideas and is so easy to work with. 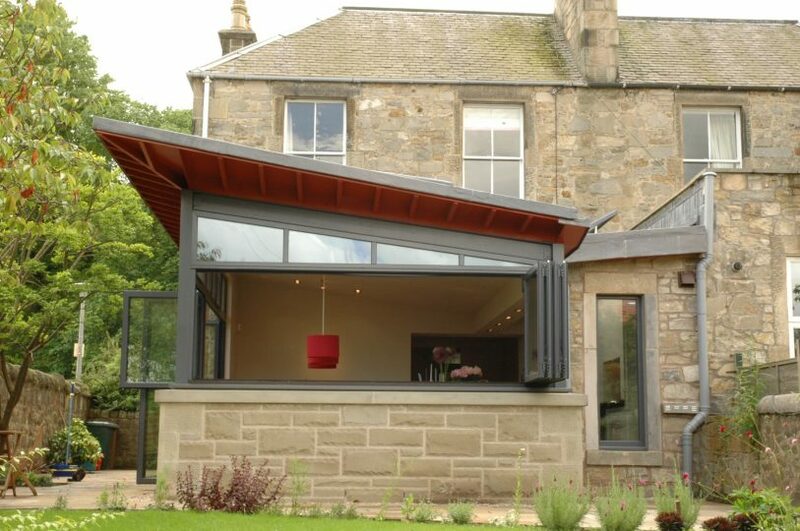 This garden room extension replaced a small stone kitchen which is typical of this age of Edinburgh house. 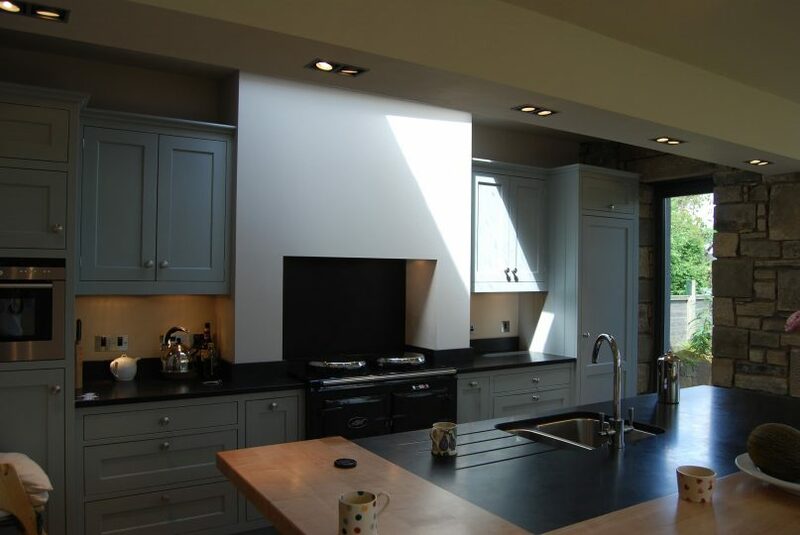 We remodelled the house to create a large kitchen and garden room with a new utility room hidden behind bespoke doors, linking the old and new. 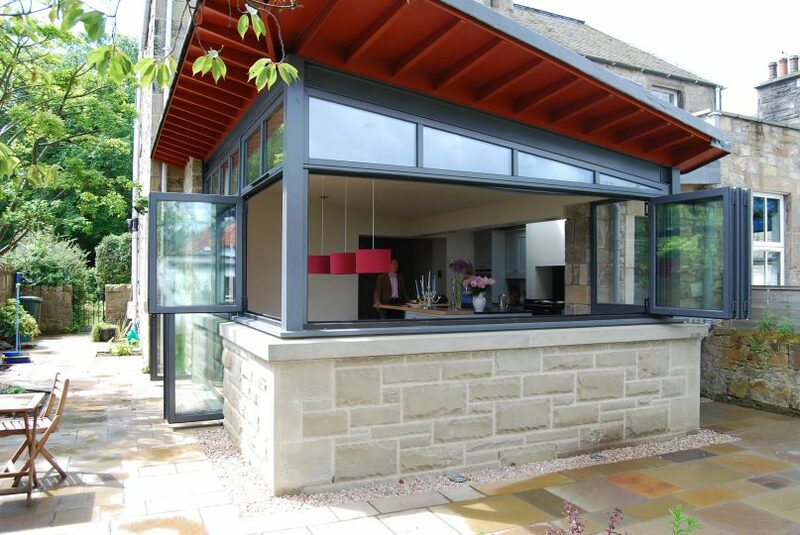 The garden room houses a dining space with window seats lining the garden elevation. 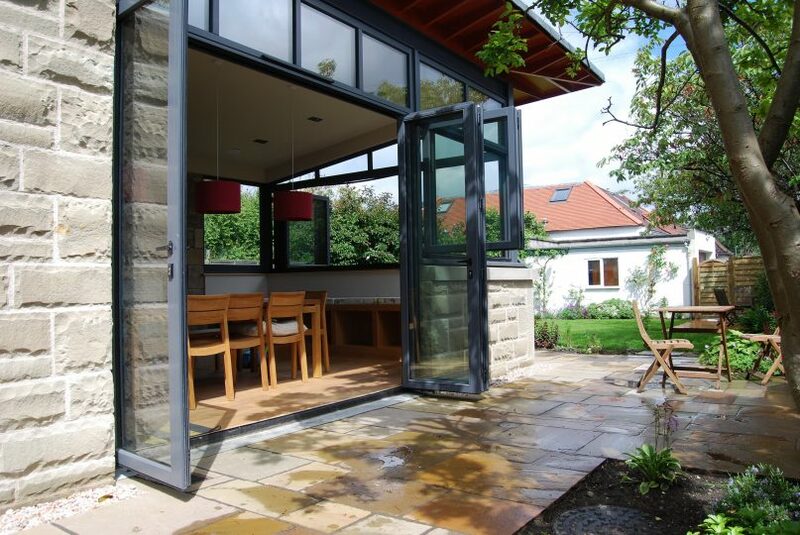 A set of folding windows sits above the window seat allowing you to sit and enjoy the garden from the comfort of the house. 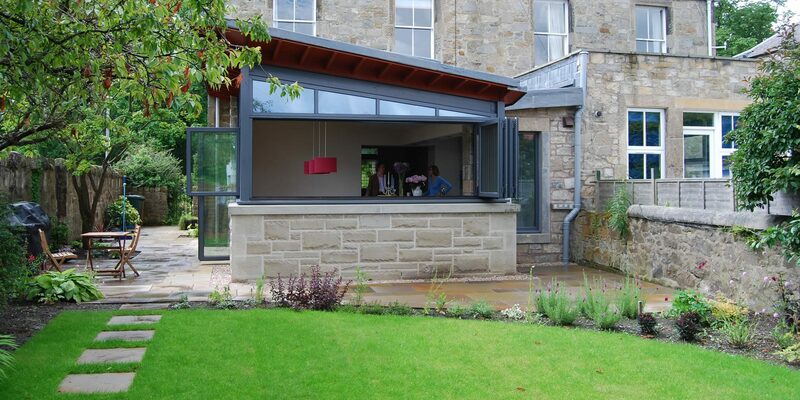 A larger set of folding doors gives access to the newly designed kitchen garden. 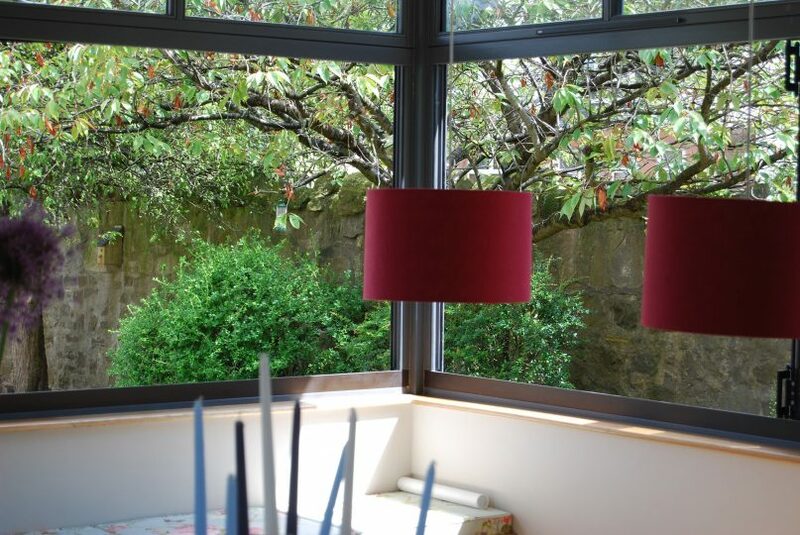 Featured in Scotland on Sunday, At Home Magazine, July 2009.